Some problems with FC connectors. 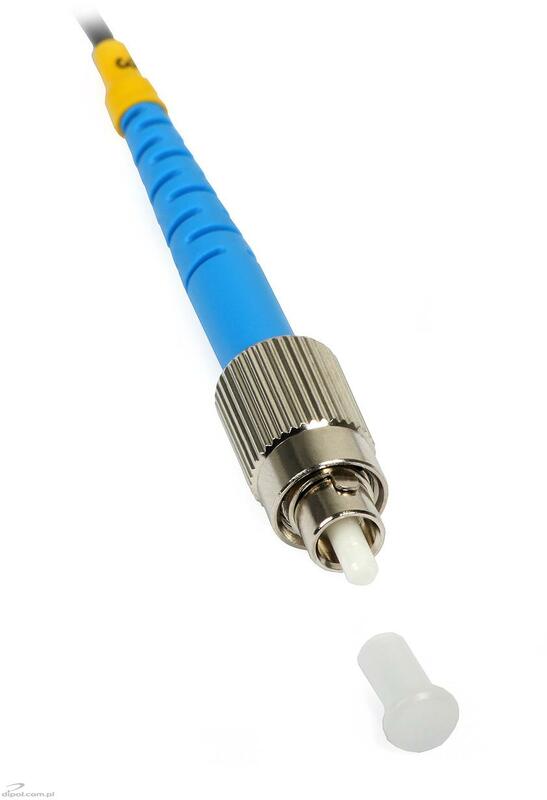 Popular types of connectors used in fibre optic systems include SC, LC, FC,E2000 and ST (mostly used in industrial applications). A common opinion that FC connections are the most reliable ones due to threaded construction, may be not true in the case of less experienced users who install them in an inappropriate way. After enlarging, one can see the guide that should slide into the groove in the socket. During installation, the installer has to properly position the plug relative to the socket. There is only one position of the socket and plug, at which the guide on the plug fits the groove in the socket . Otherwise, the socket and the plug will not connect properly, despite of the possibility to screw the plug onto the socket. 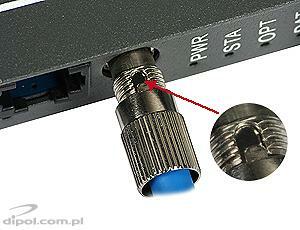 With incorrect assembly, there will be a gap preventing proper transmission of the optical signal. Proper positioning of the FC/PC plug. The guide of the plug fits into the groove on the socket. It is also worth noting that FC connectors are the only ones that allow the installer to adjust the distance between the plug and socket (due to threaded construction). 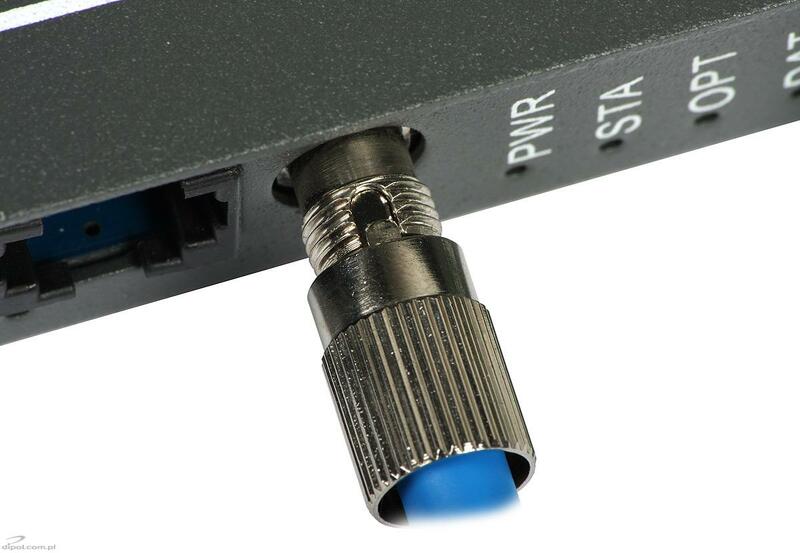 In the case of specific devices and situations, the natural way of assembling (screwing on the plug until slight resistance is felt) may result in lack of signal in the installation. It turns out that the remedy for this symptom is a minimal loosening of the threaded connection in order to lower the pressure of the ferrule on the counterpart. 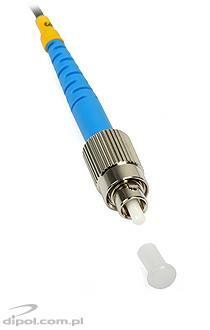 Such cases were recorded several times in fibre-optic SMATV systems with devices equipped with this type of connectors. Is it worth investing in good fibre optic cleaver? Proper cleaning and cutting of fibres prior to joining them is extremely important both in the case of mechanical and fusion splices. The following two pictures show the form of light streams coming out of fibres cleft with a stripper with cleaving option (on the left) and precision fibre cleaver (on the right). Unwanted light leaks from properly cleft end face of a fibre are very limited - the stream is focused. In the case of improperly cut fibres, dispersion effects cause that the splice presents high attenuation, which can even lead to transmission failure. Fibre-optic fusion splicers are extremely precise (up to 0.1 degree) in the determination of the cleaving quality. Installers using mechanical splices can use the optical technique shown above, using e.g. the visual fault locator, but this method is suitable only for an approximate assessment of the quality.